Successfully saved No-Sugar Homemade Jam to your Calendar. You can also save the ingredients to your Grocery List. 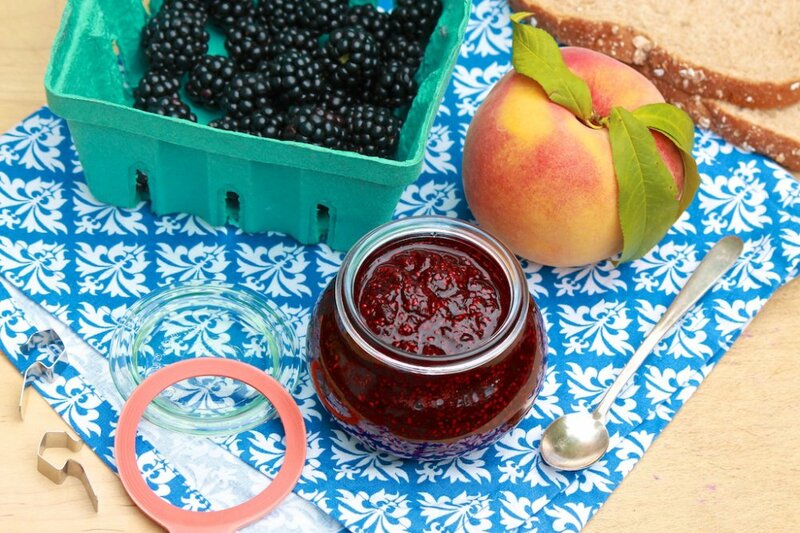 My latest batch of this all-natural jam uses summer-fresh blackberries and peaches, but the beauty of this flexible recipe is that a variety of frozen fruit may be used to make this a healthy, delicious option all winter long. See the notes section for the many ways to vary the recipe. Yields 1+ cup.